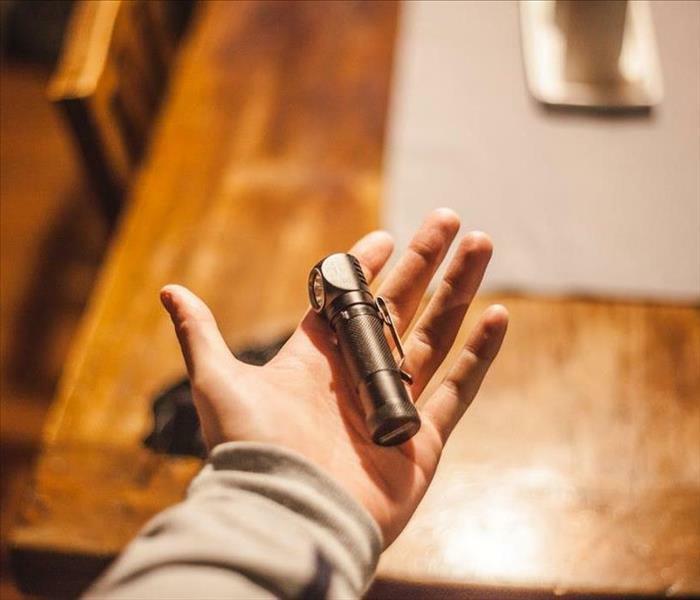 A battery operated handheld flashlight should always be included in your emergency storm kit. One of the things we can’t control is the weather. While Mother Nature always has a way of making rain and thunderstorms create chaos, there are a few things to keep in mind. Before the big storm hits, make sure you are prepared for an outage. The tips below will help you prepare and know what other nifty things to have on hand. If the storm has already hit, please give us a call at 909-399-9057 so we can help you on what to do next. 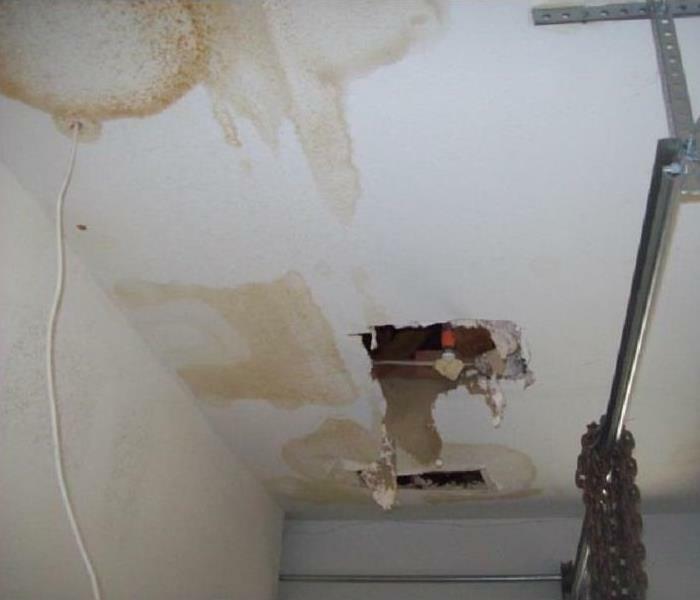 If water heaters are not maintained properly, water damage is almost always guaranteed. Our team at SERVPRO of Claremont / Montclair always want to help our community out with tips and tricks on upkeeping things around the house and office. Today we have a few tips everyone can benefit from with your water heater. The first rule of thumb – safety is always first. Before doing any maintenance on your water heater, shut the power off at the service panel. Leaking water can possible seep into carpets, flooring, baseboards and walls of your home or office. If this is not treated right away, it will even start to flow throughout the entire structure. Maintaining your water heater is the secret. Once every 3 months, drain one gallon of water from the tank. If you have hard water, do this every month to reduce sediment collecting at the bottom of the tank. Another key tip that could potentially save you some dough is to have a water heater technician inspect your water heater once every 2 years. Don’t forget that every 5 years, it is best to replace the anode rod by a certified service technician. 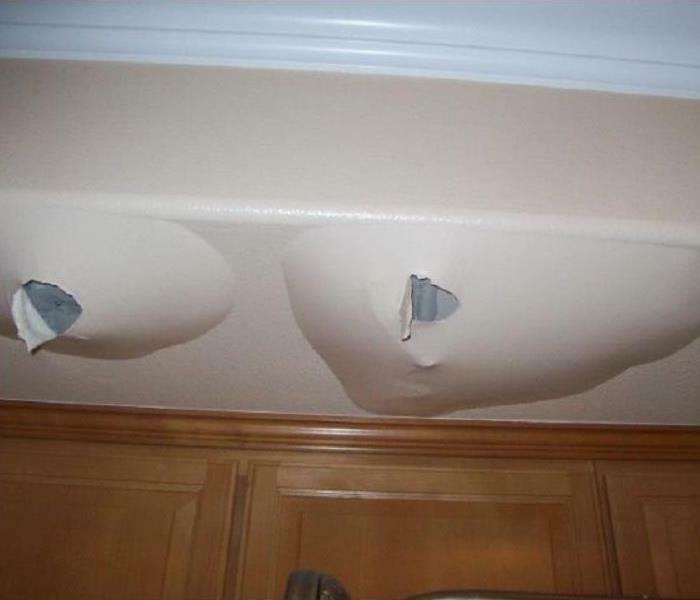 For more information on how we can help with water damage caused by water damage, give us a call at 909-399-9057 or visit us at https://www.SERVPROclaremontmontclair.com/. You Found Mold – Now What? If you find mold make sure to NEVER disturb it. Doing so may cause possible health issues. Call the experts instead to take care of the problem. Do not disturb the mold for it can be hazardous to your health by doing so. Mold is considered a toxigenic fungi, meaning they have potential to produce toxins. If you suspect mold of any kind, give us a call. There are so many warnings (and many fears) about black mold. This alarming type, also referred to as “toxic mold,” can cause trouble to both your building and health. The truth is, the words black and toxic are used interchangeably in most cases when it comes to it. Let’s discuss the facts about what it is and the myths behind it. One fact to point out is that stachybotrys chartarum, the only name professionals call it by, really is quite fatal to people’s health. It can produce allergens and irritants that are just down right bad for us. How Can I Tell If It Is Black Mold? There are many types of mold that can cause reactions. In fact, there are more than 100,000 different species of mold that can have black in color. This kind of mold has a greenish-black color and sometimes even have a greyish soot-like color. It is also known to be slimy or wet. Some types of them can cause more harm than others, too. Give us a call immediately if you suspect there is any kind of mold in your home or business. Our team of mold remediators will inspect the affected area for you. It is true, black mold can be harmful but only if it is stimulated. Most molds are toxigenic, which means they can produce toxins. Therefore, it is important to remember not to touch or disturb mold. Let a professional take care of it for you. If you think you may be experiencing black or any other kind of mold, please contact us at 909-399-9057. Our water technicians are shown extracting water from a roof that caved in after a rain storm. SERVPRO® requires all water restoration specialists to go through extensive training and classes to understand the science of water extraction and the drying process. After calling our 24-hour emergency phone number, one of our experienced professionals will respond quickly to guide you on what to do next. Our team is more than happy to inspect any affected areas in your home or office. We make the process as smooth and easy as possible for you. Our technician will discuss everything they find as well as your options. With the power of our commercial grade vacuums and pumps, hundreds of gallons of water can be removed with ease. This includes extracting the water, removing areas that come back positive for mold and drying it back to the original state. What’s more, we will always let you know what we’re working on-every step of the way. Over the years, SERVPRO of Claremont / Montclair has been helping customers in their most stressful times. With expertise and professionalism, our water damage technicians are highly trained in delivering fast, effective results to guarantee happy customers. Storm damage can happen when you least expect it. Follow our tips to avoid further damage. Rain and storm damage are usually the last thing on your mind-until it happens. There are many tips on what to do in case a storm hits, but what about after? We’re taking a look at what NOT to do after the rains hit and water has found its way into your home and furniture. Never use household appliances or turn the television on. The water has most likely soaked through the carpets and flooring. This can cause an electrical hazard to you and your loved ones. Keep these tips in mind until our SERVPRO Claremont / Montclair team arrives to restore the damage (which is usually within the hour). For more information on storm and rain damage tips, give us a call at 909-399-9057. Storm damage can damage your home, but it can also damage your belongings like carpets and furniture. After the rainfalls hit, you and your family’s safety are always the #1 concern and priority. Here are a few things you can do to protect your loved ones from harm. Wet materials can be very heavy. Be extra careful when picking them up. Side Note-only do activities that are safe for you to do. We understand how stressful an event can be. Reach out to us at 909-399-9057 and we will guide you on what the next step is and what to do next. Our professionals have year of experience restoring fire damage in commercial buildings. It can be overwhelming when you see all the blood, sweat and tears you put into your business go up in flames. It was the same for this City of Industry warehouse. Not only did the furniture in this warehouse get damaged from the flames, but so did the loading dock of the building. Our team new their hands were full but knew just what to do. They suited up in their PPE suits and got to work. They did tasks like minor demolition (to knock down the rest of the burned panels), soot and ash cleanup. The owner of this furniture company was thrilled of the job we did for him. If you have experienced fire damage of any kind, do not hesitate to reach out to us at 909-399-9057. Our water damage technicians pulling out carpet and padding from this lawyer’s office to get all the wet unsalvageable material out. When small amounts of water began to leak through the carpet, this law firm began to get suspicious. As the slow leak continued throughout the day, the staff began to really panic as all the towels in the office would not hold it down. 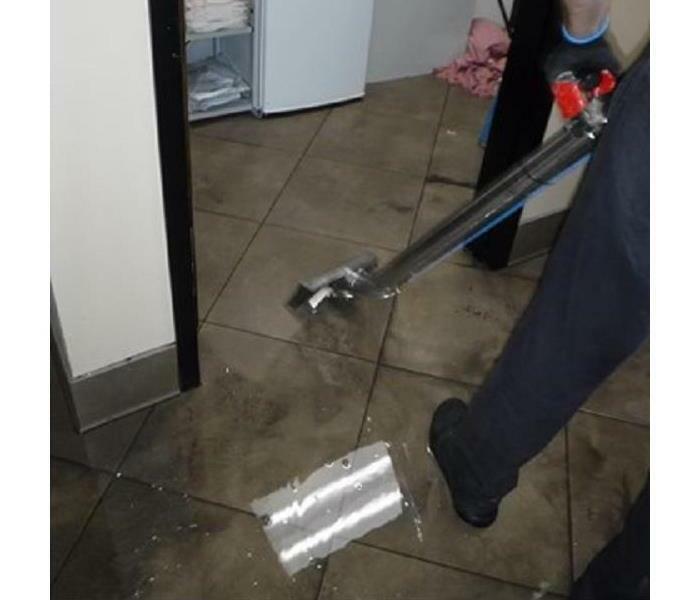 By the time SERVPRO of Claremont / Montclair got to the scene, the flood had continued to two more offices. Our water technicians knew what to do. The water seeped very deep into the carpet including the carpet pad. Unfortunately, we could not save it since the water was sitting for about 24 hours before we were called in. The good news is that carpet and padding is very inexpensive and was a breeze to handle. 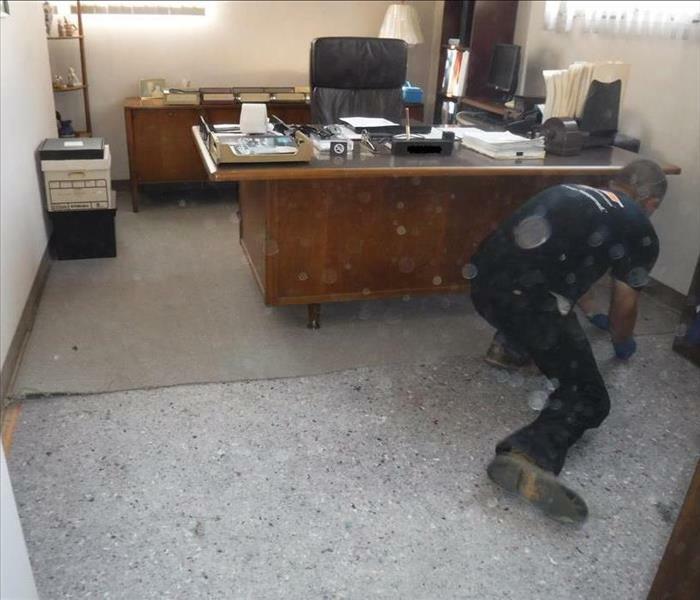 After pulling out wet carpet, padding, extracting excess water and drying the affected rooms for 4 days, this lawyer’s office was as good as new. The aftermath of a fire is even worse than you think. Minimize the amount of movement inside the house, as the soot can seep into your upholstery. When a fire has wreaked havoc in your home or place of business, it wreaks havoc in your life. SERVPRO of Claremont / Montclair is here to make sure this doesn’t happen. If damage has been done from a fire, keep these Dos and Don’ts in mind. These pointers will make things easier for you until we arrive. Wash any soot from chrome appliances including faucets and any trip. Then lightly coast these surfaces with a small amount of lubricant. Wash both sides of leaves on all house plants. They most likely have ash on them. Please contact us at 909-399-9057 for more information, we would love to help. 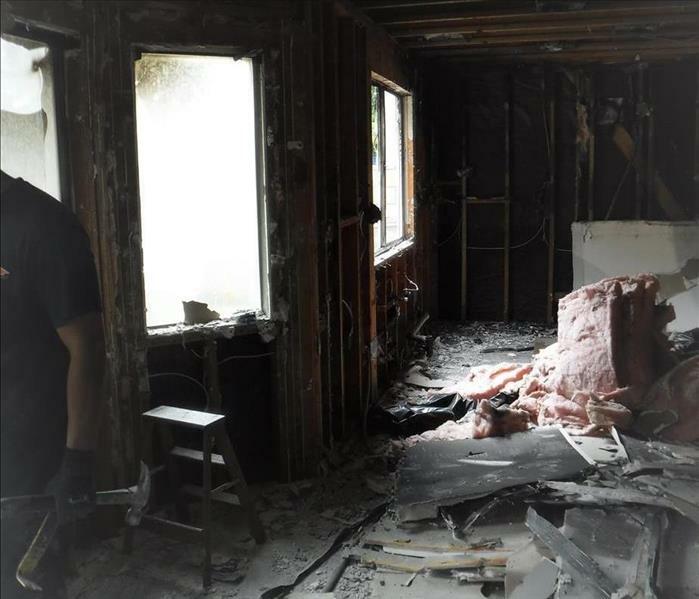 4/11/2019 - You Found Mold – Now What?